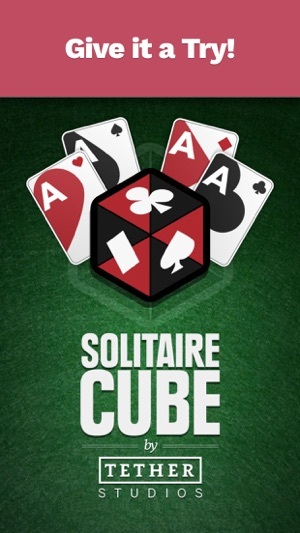 A modern version of the classic: Klondike Solitaire. 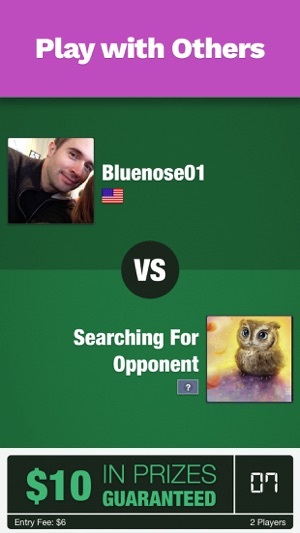 Includes large tournaments and head-to-head competitions with cash prizes (where available). 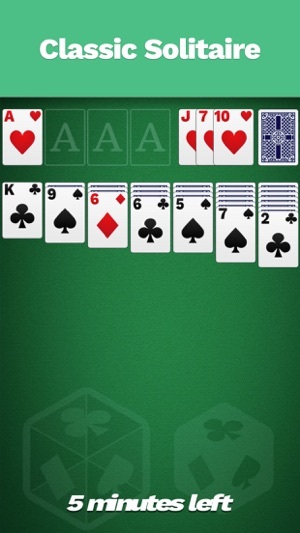 • Klondike Solitaire: Stack cards into piles to sort them by their suit. Sound easy? It is! Sorta. I absolutely love this game! First off I’m a huge solitaire fan. I could sit and play for hours which I have and never get bored. It keeps my mind busy. I like the twist they put in where it’s kind of like speed solitaire. They refill your “fake money” daily so you can basically play as many games as you’d like to level up your skills and get better for the actual money winning tournaments. Second, you don’t have to pay anything into the game that you don’t want to. They give you options to pay and get extra cash but honestly if you play longer you eventually complete your trophy goals and some of those rewards are actual dollar amounts that you can use for the cash tournaments. Also, this is not get rich quick sceme. Obviously the more you play the better you get and the better your chances of winning a lot of money. Today I finally got one of my trophy rewards of $2 dollars and I managed to turn that $2 reward into $5 in like 10 minutes. It’s the games way of giving you incentives to keep playing which I think is fantastic and what makes it super addicting. You win some and lose some. It’s like gambling. But the more you play the better you get and the higher your stakes are at winning. I play this game like 3 times a day usually a few hours at a time. It’s usually when I’m eating breakfast, on break at work, and before I go to bed. I love it!!! I honestly don’t see any flaws with it. 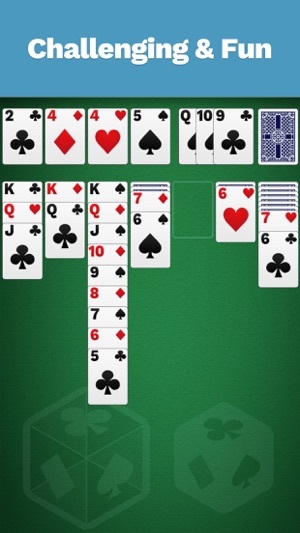 It’s like actual solitaire. I’ve been playing this game for over a year now and have gone through reading all of the one star reviews claiming that the app is rigged. First of all, this app is not rigged, they pair you randomly with another player, it has nothing to do with your skill level so if you just happen to be not that good and a really good player is playing at the same time they’re gonna pair you together. It’s all based on who’s using which game at that moment. To everyone who is also claiming it’s rigged because they never win any money you gotta remember, this is gambling, you aren’t gonna win every time. When you deposit money and they offer you the bonus amount (for example they will do deposit $30 get an extra $30) that extra amount is not really money hence you can not withdraw that $30. Just as if you trade your tickets for cash, you cannot withdraw the fake money. If you have real cash and bonus cash in your account at the same time and play a cash game it will use half and half so eventually your bonus cash runs out and you will end up with money you can fully withdraw. For everyone saying it’s rigged, quite crying just because you aren’t good at the game, do practice tournaments. Play for Z’s first until you get good, and maybe go back and read the rules and instructions one more time because it’s clearly stated how the game works. Loving the game. Undo button helps my ‘faster than lightning’ hands catch up to how my brains speeds thru my options. Great old school game that was rebooted with a nice layout.. a 5 minutes timer.. and love the option to stop at anytime thinking I’m out of moves... but is my competition ?... Oh and the points difference, on the time to still play, often makes or breaks you. So it keeps you going fast and on your toes. Another good one Skillz! This and Spider and Diamond Strike are my top 3!! 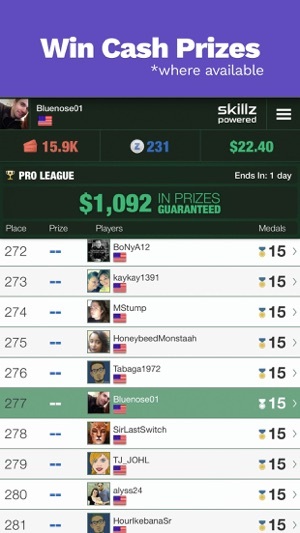 Plus I’ve spent quite a bit of money on this game.. only lost it being too cocky and taking big risks.. so it’s cool y’all let us challenge someone for real cash prizes Every 4 hours... in a 1 on 1 so our chances of winning are great. Have you thought about adding a Skillz version of Othello? Or maybe Acey Ducey? (Acey Ducey is the faster better version of Bat-gammon) Or maybe Speed? That’s a card game that we could play for hours growing up!! I look forward to more Skillz games and hopefully keeping some of my winnings this time. Also.. could you consider putting some promo codes out there for the $10/$30 or some variation. Getting the extra is what got me to put in my last $100.. getting an extra $50.. but no way will I ever put the $250 or $500 you want for my next bonus deposit.